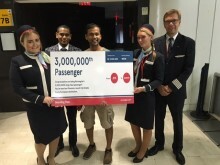 Norwegian Reaches the 3M Passenger Mark in the U.S.
Three million passengers in three years shows solid demand for and success of low-cost, long-haul flights. 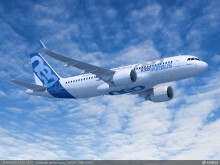 Norwegian’s subsidiary, Arctic Aviation Assets Ltd (AAA), has placed a new order of 30 Airbus 321LongRange aircraft. Norwegian signs charter contracts with Apple Vacations and Funjet Vacations to operate routes from the United States to the Caribbean and Mexico. 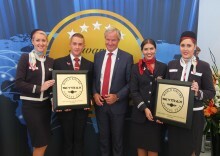 Norwegian named the ‘World’s Best Low-Cost Long-Haul Airline’ for the second consecutive year and ‘Best Low-Cost Airline in Europe’ for the fourth year in a row at the renowned Skytrax World Airline Awards. Norwegian's passengers have donated more than $720K to UNICEF's work for vulnerable children when booking flights online. Norwegian has signed an agreement to lease two new Boeing 787-9 Dreamliners to be delivered in spring 2018. With this new agreement, the company’s long-haul fleet will consist of 42 Dreamliners by 2020. Norwegian also exercises 8 of its 100 Boeing 737 MAX8 purchase options. Service to London, England, Norwegian’s fourth nonstop destination from Las Vegas, begins on October 31. Service to Oslo, Norway begins in November, while service to Copenhagen, Denmark, and Stockholm, Sweden, began last November. ​Norwegian Air’s loyalty program, Norwegian Reward, has won the “Best up-and-coming Award”at the 2016 Freddie Awards - the most prestigious member-generated awards in the travel loyalty industry. Increased demand from both business and leisure passengers contributed to Norwegian’s growth in March. The company carried almost 2.2 million passengers this month, an increase of 27 per cent compared to March last year. The load factor was 87.9 per cent, up 3.7 percentage points. 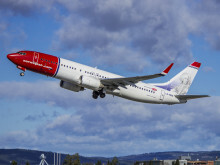 Norwegian is launching direct service from Las Vegas to Oslo and increasing the frequency of its Los Angeles to Oslo flights for the 2016 winter season. New routes from the U.S. to the Caribbean and domestic routes in Spain had a positive effect on passenger figures in January. Norwegian carried more than 1.7 million passengers last month, a considerable increase compared to January last year. The load factor was 81.7 percent, up 1.7 percentage points. Norwegian will significantly increase flights from the United States to one of its biggest European hubs: London Gatwick. The airline announced today that it will connect San Francisco Bay Area and London with thrice-weekly service commencing on May 12, 2016. In May 2016, Norwegian will also increase flights from Los Angeles to London Gatwick by adding a fourth weekly flight on May 10. Norwegian Air continues to expand its international operations by signing an agreement to purchase 19 new Boeing 787-9 Dreamliners, more than quadrupling its current long-haul fleet to 38 aircraft within the next five years. The new order will enable the company to launch even more long-haul routes and expand its existing network in the coming years.